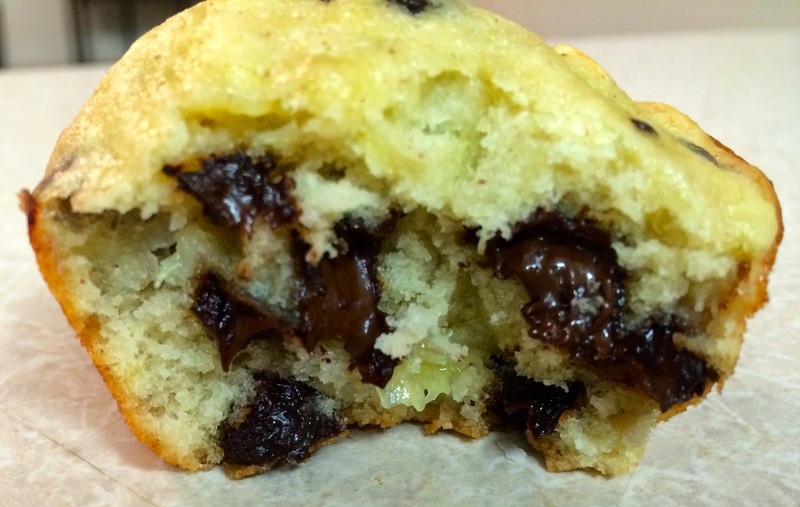 Everyone loves a chocolate chip muffin, and somehow throwing in a little banana justifies it as semi-healthy. In all seriousness, these muffins are the perfect little snack or breakfast. 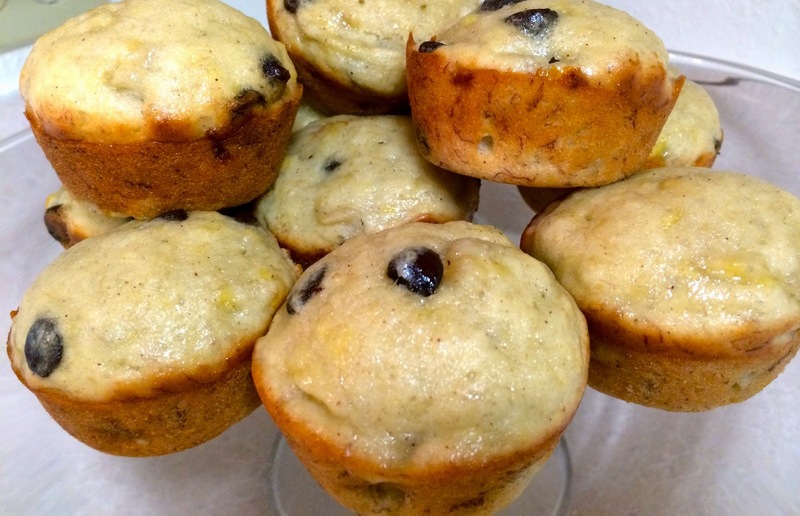 I just mixed and matched my go-to banana bread recipe to make these delightful little muffins. We loved them! Simple and yummy. No need to reinvent the wheel here. 1. Preheat oven to 350 degrees. Grease a muffin tin and set aside. 2. In a medium bowl, combine flour, baking powder, baking soda, cinnamon, and salt. Make a well in the center of the dry mixture and set aside. 3. In another small bowl, combine egg, bananas, sugar, and vegetable oil. 4. Add banana mixture to dry mixture. Stir just until moistened (batter should be lumpy). Fold in chocolate chips. 5. Fill each muffin cup 2/3 of the way full. 6. Bake about 20 minutes or until inserted toothpick comes out clean. 7. Let muffins sit in muffin tins for 5 minutes. Then remove to finish cooling completely. Oh my gosh, those look amazing. I haven't made muffins in forever-- or banana bread, and these look sooo good! Seriously wishing I had eggs and bananas, so I could make them today! I love the combo of banana and chocolate. These look divine! Those look heavenly! Thanks for linking up your recipe! They look so good! Adding this as another recipe to try! These look SO good! I'm hanging out with some friends this weekend who are PCSing in a few weeks and I think I'll make these as a treat! Those look so good! I'll have to make some soon.